Theta Xi is always looking for potential brothers. The gentlemen in our fraternity are well-rounded: they excel academically, thrive socially, and are committed to maintaining healthy lifestyles and serving their communities. Fall Rush 2016 is now over. Congratulations to our 57 new Associate Members! 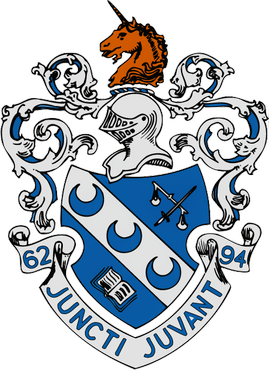 During Rush, held at the start of most quarters, fraternities will host events at their houses for prospective members to meet existing brothers and get a feel for their house’s unique atmosphere. We encourage you to check out as many fraternities as possible to make sure that you find the right fit for you. If you attend one or more Rush events and/or demonstrate that you would be a good addition to the house, you may be extended a bid of membership which you can either accept or decline (you will have a few days to make your decision). Those who have accepted their bids will join our fraternity as associate members. An associate member, or AM, is different from a “pledge” in that he is not of lower status than an initiated brother—he is an equal. During your AM period, you will be given all the same privileges afforded to active brothers, with the exception of voting rights and knowledge of our secrets, practices, and ritual. In addition to being treated like a brother, however, you are expected to act and participate like one as well. At the start of your AM period (which typically lasts about seven weeks), you will be assigned a “Big Brother” and a “Big Sister” who will act as advisors and confidants to you throughout the quarter and beyond. Weekly meetings will be held wherein you are taught and subsequently quizzed on our fraternity’s history and infrastructure. There will be at most two mandatory events per week intended on acquainting you with active brothers and your fellow associate members. A project will be assigned to your AM class to be completed by some predetermined date. All of this translates to a maximum total time commitment of about six hours per week; however, we expect that everyone interested in becoming a brother of Theta Xi will want to participate in all of our events as well as study, eat, and socialize with us on a regular basis. The AM period will culminate with Live-In Weekend, during which all associate members are expected to live in the house and bond intensely with their future brothers. Those who have successfully fulfilled all of these requirements by the end of the AM period will be initiated as full-fledged brothers of Theta Xi. Once a common tradition, hazing has been banned by all national fraternal organizations and institutions of higher education. UCLA rigorously enforces this policy, and organizations that violate it are subject to immediate suspension of campus recognition and privileges; the same is true of our national headquarters. As an associate member, you will be expected to participate in various memorable events where you will have opportunities to learn more about our brothers, our chapter, and our fraternity as a whole. However, at no point will you be asked to do anything that no brother would do himself. Don’t forget to visit our Membership page if you have any more questions!